REUTERS/Brian SnyderJames Schwartz, director of World Against Toys Causing Harm (W.A.T.C.H.) demonstrates the ‘Air Storm Firetek Bow’ toy during a news conference. World Against Toys Causing Harm (W.AT.C.H.) has released its annual “10 Worst Toys” list, just in time for the holiday season. The toys on this year’s list spanned age groups from infants to eight- year-olds, and included all types of toys from a colourful hedgehog doll to a “battle hammer” for three years olds. 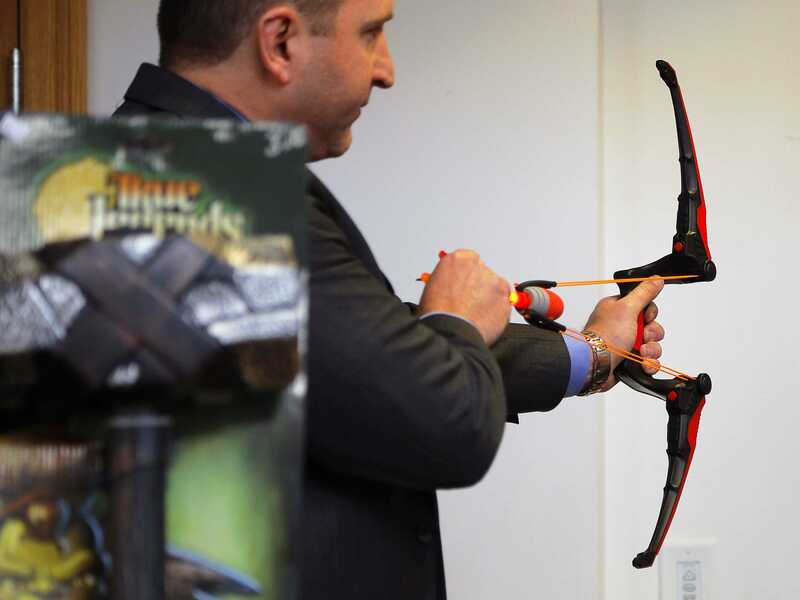 “Toy guns, bottle rockets, and bows and arrows on the list this year may seem exciting and intriguing to children, but have the real potential to lead to tragic, sometimes deadly consequences,” W.A.T.C.H. said in a press release. 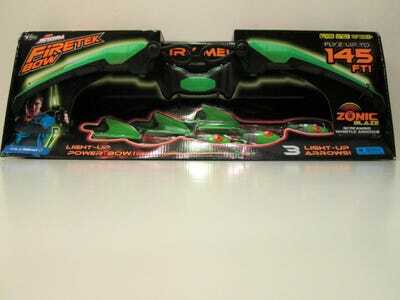 The “worst” toy this year, according to the list, was the Air Storm Firetek Bow, which shoots glowing arrows 145 feet. W.A.T.C.H. says the warnings weren’t adequate, though we can see how kids would love it. A more sobering toy on the list was the Swat Electric Machine Gun, which comes with a warning that it could be mistaken for a real weapon — something that does tragically happen. Children between three and eight years old apparently are supposed to swerve and spin on this thing. Since children are encouraged to play on it outside, W.A.T.C.H. 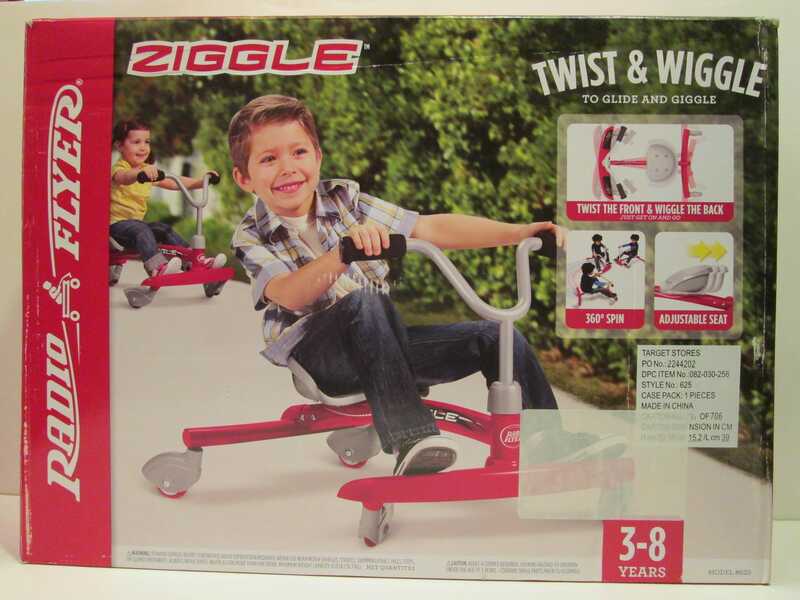 says a car could hit the child since the toy is low to the ground. 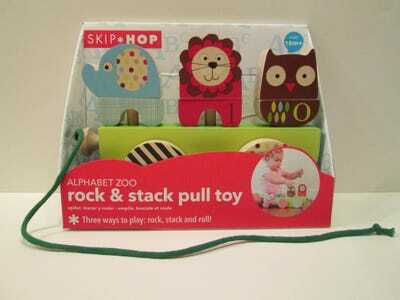 This may seem like a fun toy for babies (18 months and over), but there is a choking hazard. According to W.A.T.C.H., there’s a possibility of strangulation since the cord is 20 inches long, and not the standard 12 inches the industry requires for safety. 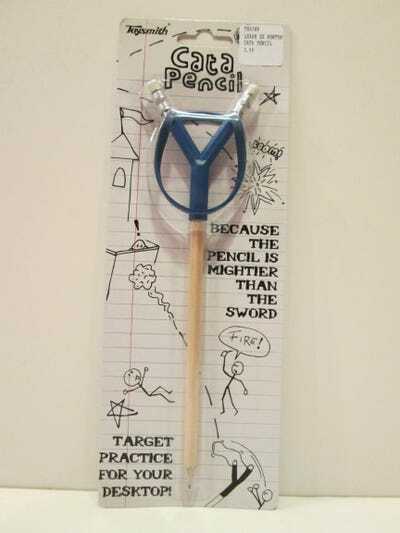 This replica of a real weapon was designed for the amusement of kids ages five and older. 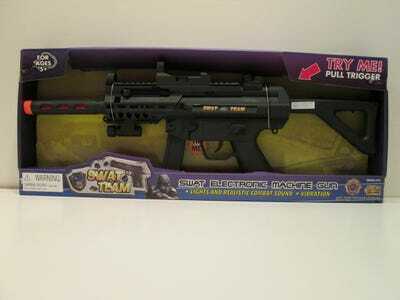 But the packaging warns that “this product may be mistaken for an actual firearm by law enforcement officers and others.” This isn’t just scary for kids — it’s scary for adults, too. 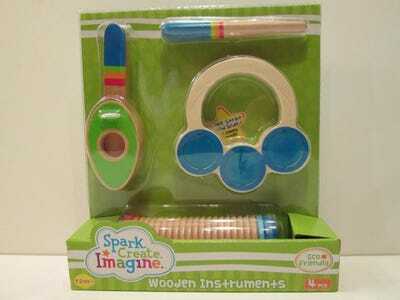 There are no warnings on the packaging for these cute, eco-friendly instruments, but W.A.T.C.H. is nervous about the drumstick. “The manufacturer provides no warnings regarding the slender, rigid approximately 4½” long drumstick, which has the potential to be mouthed and occlude a child’s airway,” it says. 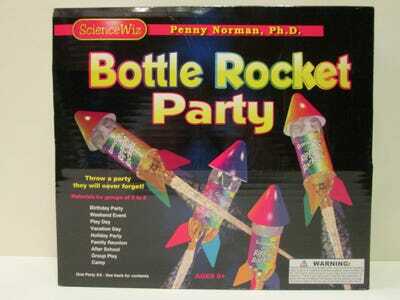 It should be pretty obvious why these bottle rockets (for children eight and above) could be bad news. 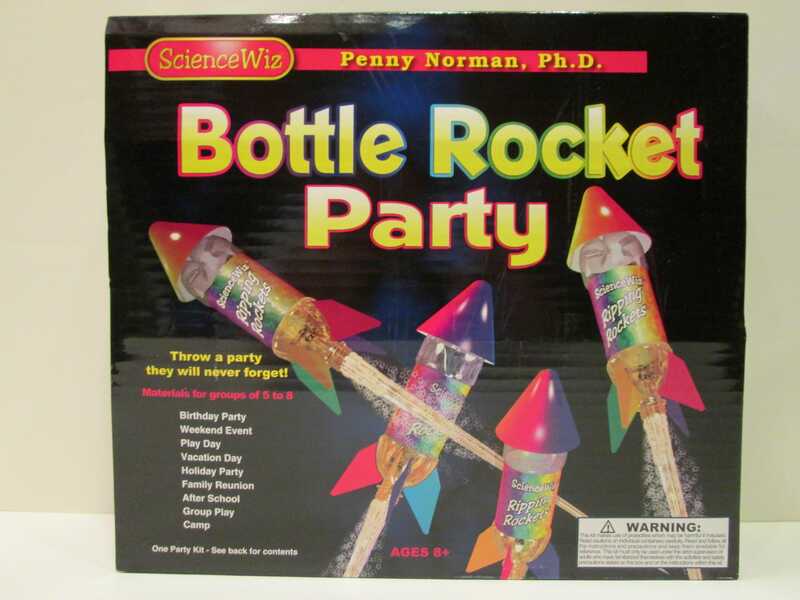 The kit warns that the rockets should be played with “under the strict supervision of adults” and comes with yellow caution tape, but no safety goggles for “rocketeers,” according to W.A.T.C.H. 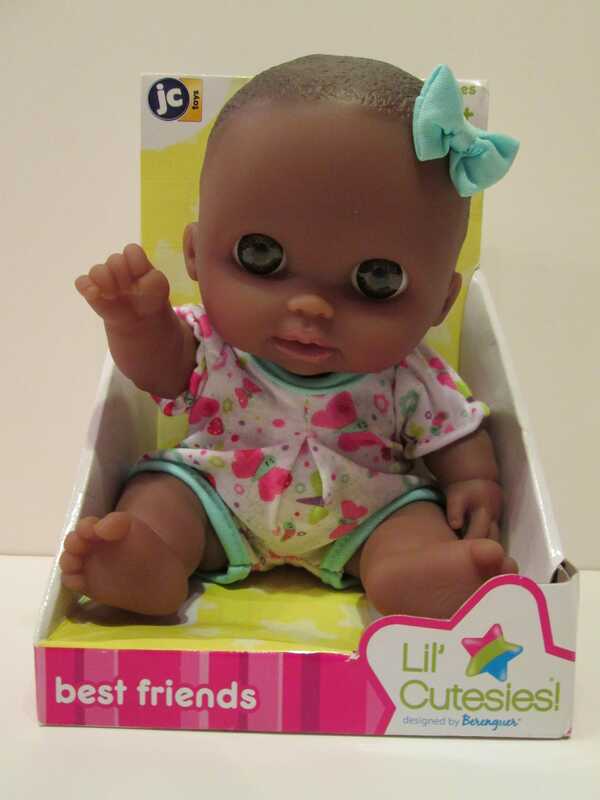 This doll — touted as “the perfect friend for your little one” (ages 2+) — comes with a decorative bow made with ribbon that can detach and poses a choking hazard, according to W.A.T.C.H. 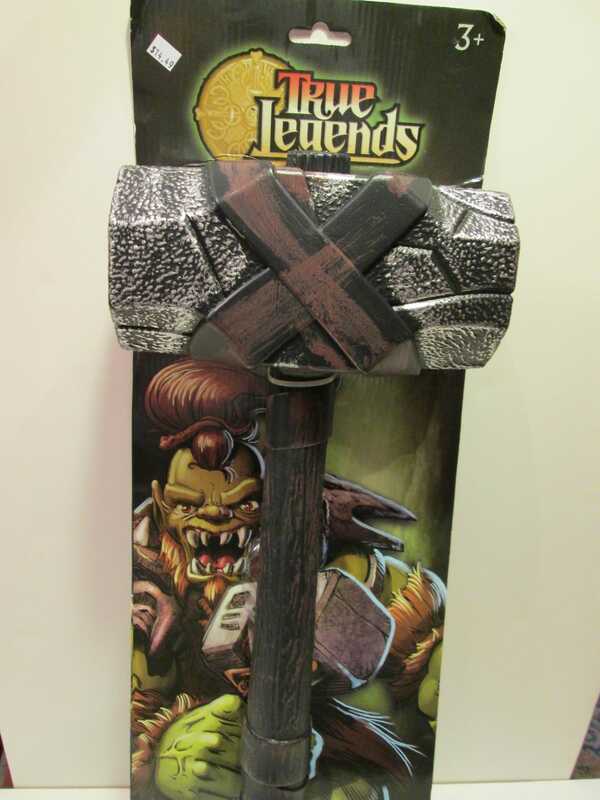 This hard plastic hammer is marketed for kids three years old and over, but measures almost two feet in length. Despite the fact that wielding such a hammer has the potential to cause blunt impact injuries, there are no warnings or cautions with this toy. This soft, colourful hedgehog is sold for infants, but can cause a choking hazard since its long hair is not “adequately rooted” and can be easily torn off and eaten, according to W.A.T.C.H. 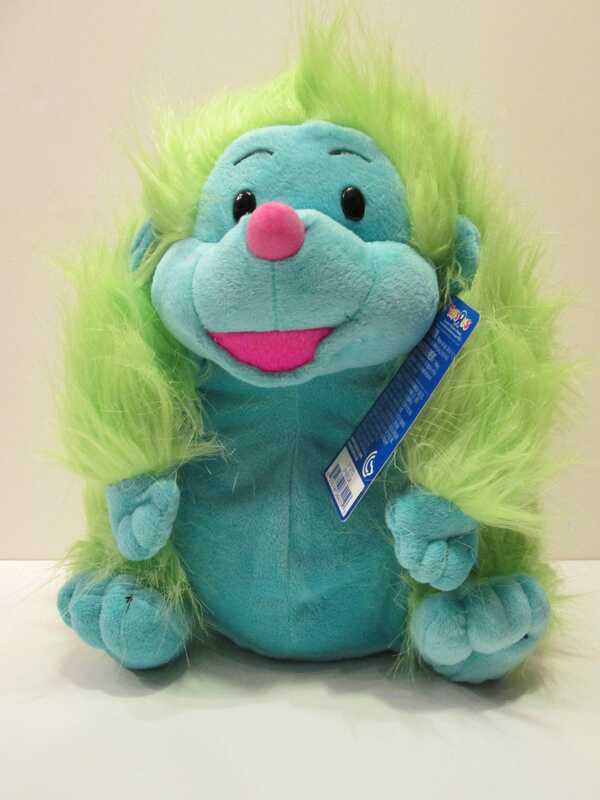 You can read through all of the warnings and see the toys at the W.A.T.C.H. website.